Danya Gibson, 16, was fatally stabbed a high school in Warren. The stabbing death of a 16-year-old girl at Warren Fitzgerald High School may have been prevented if someone had notified authorities about an alarming social media post by the alleged attacker. That’s according to a Facebook post by Warren Mayor Jim Fouts, who said the 17-year-old suspect announced on social media “what she planned on doing to” her classmate and former friend, Danya Gibson. “Someone on social media may have seen this and could have prevented this had they told someone,” Fouts wrote. 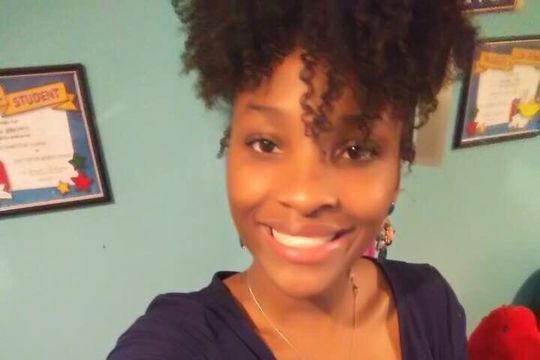 Gibson, a straight-A honor roll student, died after she was stabbed twice in the chest following a dispute over a boy. On Thursday, family, friends and classmates of Gibson gathered during a vigil on the school’s football field. A Michigan judge halted the closure of 98 medical marijuana dispensaries across the state that did not yet have a license to operate. Court of Claims Judge Stephen Borrello sided with a dispensary attorney who claimed some cannabis businesses – at no fault of their own – could not realistically have met deadline to get a license. The judge extended the deadline to Dec. 15. Voters approved the use of medical marijuana in 2008, and the state this year created new rules to legalize and regulate dispensaries. “White Boy Rick,” a real-life movie about the Detroit teen who was sentenced to life in prison for selling crack cocaine, debuted Thursday night with a red carpet premier at Imagine Novi. Rick Wershe, 49, spent nearly three decades in prison before he was paroled in August 2017. But soon after his release, Wershe was transferred to a Florida prison for a crime he had committed behind bars. Some people who knew Wershe, including his attorney and a former FBI agent, told the Detroit News that the film inaccurately portrays White Boy Rick as a drug kingpin with a sympathetic father. “He wanted to become a significant dealer and of course he failed,” retired FBI Agent Herman Groman said Thursday. Motor City Muckraker is an independent watchdog without advertisements. Your donations help us continue providing vigorous, nonpartisan investigations and meaningful news.